Can chicken soup really cure body and soul? Grandmothers and mothers from many cultures swear by it … but is there any science behind the idea that chicken soup can be medicinal? Chicken noodle soup is regarded as a therapeutic dish in several cultures, including Jewish-American and Chinese communities where traditional medicine is practised. Although researchers have not been able to determine the cause of the alleged positive effects of chicken soup, several studies have confirmed that it helps to unblock congested noses and throats. Archaeological evidence shows that people started using poultry to make soups soon after they discovered how to boil water. The earliest recorded evidence of chicken soup being used as a therapeutic dish dates back to Chinese antiquity. In the second century BC, the Chinese medical text, Huangdi Neijing, declared that chicken soup is a “yang food” – a warming dish – to which different therapeutic herbs can be added to cure various diseases. In China, chicken soup is given to women after pregnancy and to elderly people. Both groups are considered to be in the need of energy-giving yang food, which is believed to transport “energy” around the body and have an invigorating effect. One of the earliest recipes for Chinese noodles, “lamian”, dates back to the second century AD. In Chinese culture noodles represent a long life. Traditionally they were combined with chicken soup to emphasise the well-being of the family. During the Song Dynasty (960-1279), noodle shops became widespread and chicken noodle soup was a popular dish. Recipes for chicken noodle soup were also exchanged with other parts of Asia. The Jewish folklore about chicken soup is closely tied to the central European medical history of chicken soup. The Greek physician Galen, in the second century AD, recommended chicken soup as a cure for migraine, leprosy, constipation and fever. A few centuries later, in the Babylonian Talmud, a story refers to the chicken of Rabbi Abba (175–247) which, when cooked, served him as a general remedy. Towards the end of the Middle Ages, the Jewish philosopher and physician, Moses Maimonides (1135-1204), recommended chicken soup for the weak and the sick. But chicken soup remained an infrequently eaten dish until the 15th century. It was only then that a revival of raising chickens started to compensate for other meat shortages and people began to eat chicken soup regularly. Similar to traditional Chinese practice, among Sephardic Jews the custom prevailed to give “caldo de gayina vieja” – old hen chicken broth – to women who had given birth and ill people. Sephardic Jews also developed the practice of serving chicken soup with rice – “soupa de kippur”. After the 15th century, chicken soup slowly became a traditional dish within Jewish Ashkenazic culture, having spread from the Sephardic Jews to Eastern Europe. In Ashkenazic culture it became known for its colour as the “goldene yoykh”, “gilderne” or “goldzup” – golden soup. At special anniversaries and celebrations the floating fat bubbles are interpreted as signs for future happiness. After World War II, Jewish emigrants popularised it in America, leading to its nickname “the Jewish penicillin”. While there is a cultural belief that chicken soup has therapeutic properties, researchers cannot determine exactly why chicken soup, or which content of it, has a curative effect. Who knows, a turkey broth might be a fitting substitute. And, after Christmas, most people could do with a little pick-me-up. Here is what we do know about chicken soup’s curative properties. Marvin Sackner, in 1978, conducted a study showing that drinking chicken soup was significantly better at clearing up congestion in the nose compared with drinking hot or cold water. 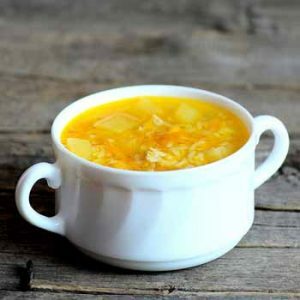 In 1980, Irwin Ziment showed that chicken broth helps to thin mucous in the lungs with a higher effect being achieved when the broth was spiced. 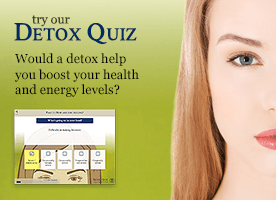 His study was followed up by Stephen Rennard in 2000 who argued that chicken soup, by reducing mucous in the lungs, supported the white blood cells in fighting a cold. Generally, it can be observed that the calcium content of the soup increases with the duration of cooking and, depending on the composition, can have a mild anti-inflammatory effect. Chicken soup is also said to have a calming effect, which has led some to claim that it can also heal the soul. This article was originally published on . Read the original article.